The nine poems in this small book are concerned with naming, with beauty and sadness, with light. There is a necessary darkness that shines throughout. 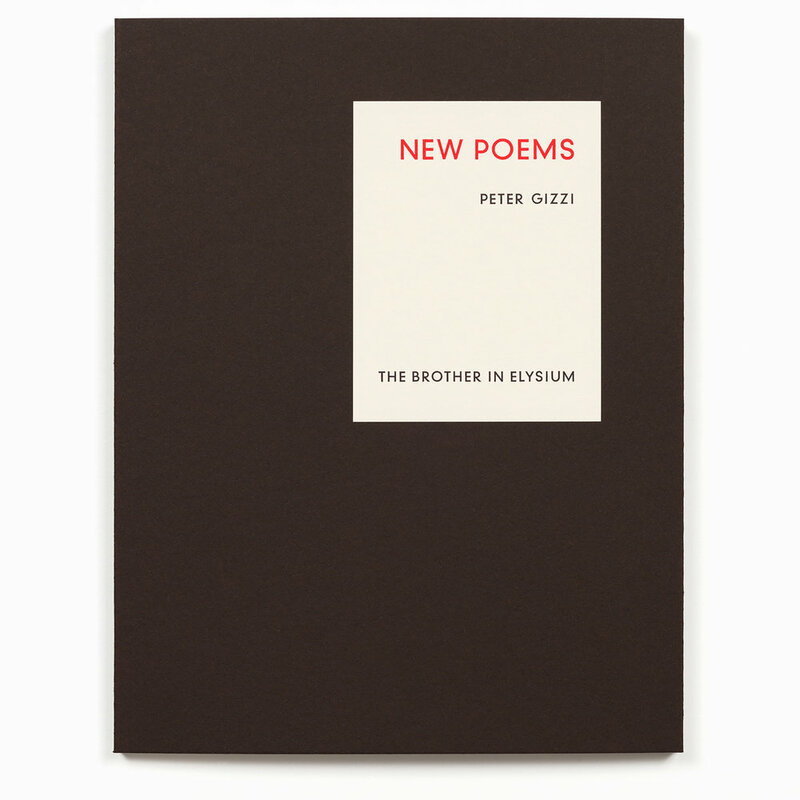 With litany, elegy, and prose, Gizzi continues his pursuit toward a lyric of reality. Saturated with luminous detail, these original poems possess, even in their sorrowing moments, a dizzying freedom. Objects, images, and their histories are caught here in their half-life, their profoundly human after-life. Gizzi has written a brilliant follow-up to Archeophonics. Hand set and printed letterpress. Sewn and bound by hand. 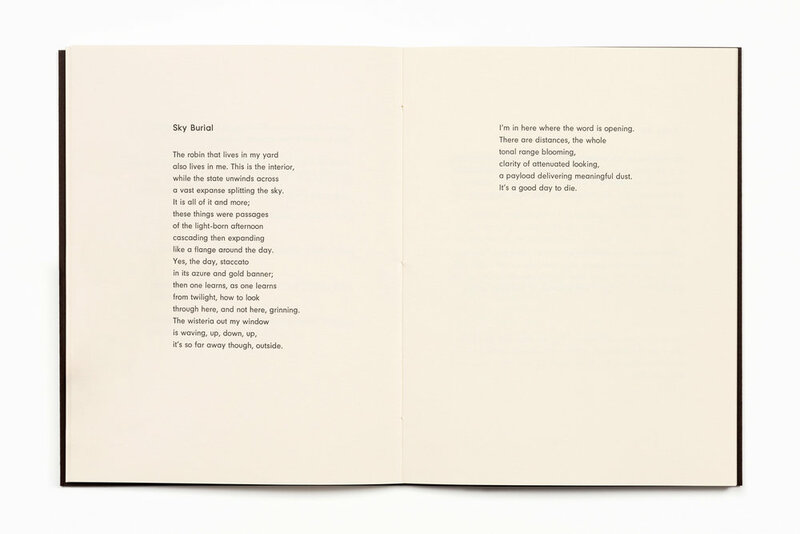 Special edition of 25 signed & numbered by the poet and printer.